Before you take a look at the current property market, you would be wise to brace yourself. After all, prices have risen exponentially over the course of the last 18 months, with the recent month of March even seeing valuation rise at their fastest annual pace in more than a year. With many claiming that the average UK house price could have risen beyond the £1 million mark by 2030, there is no doubt the market is facing a period of steep decline, potential inactivity and a potential collapse. This situation has been exacerbated by a lack of supply, with home-owners keen to retain their most valuable asset as long as the value of the market is increasing. This is helped to create a seller’s market where demand far exceeds supply, triggering unsightly bidding wars and hugely overvalued price points. How will the Nation respond? In truth, this should come as any sort of a surprise. After all, after a leading think tank concluded that 250,000 new homes would need to be built to meet the prevailing demand back in 2014, it was later revealed that just 150,000 were actually completed. This ongoing issue has created a shortfall in housing supply, which in turn has been compounded by rising price points and a desire to keep owned-homes off the market. With the private rental and buy-to-let markets also having thrived recently, owners are more inclined to rent out homes rather than sell them. So how will the nation respond to this challenge? As you would expect, the primary response has been to invest in the construction of additional new build home. Private sector firms have even been allowed to purchase public land, creating more space for housing estates and typically uniform designs. It is hoped that these projects will create a huge resource of affordable housing once completed, creating greater equilibrium in the market place and forcing existing vendors to offer superior value to buyers. 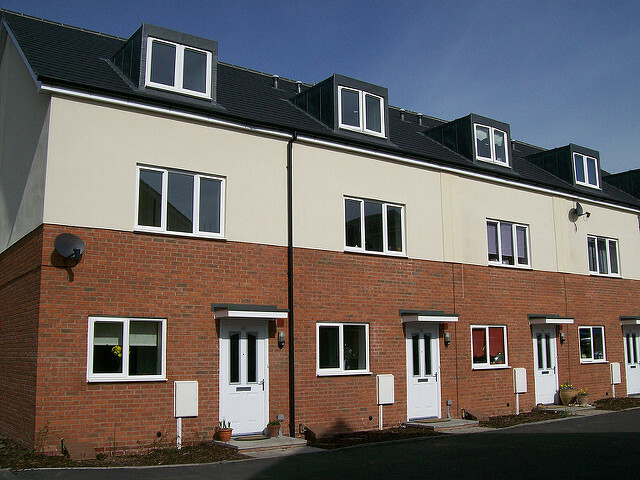 Can New Build Housing save the Property market once again? New building housing is often seen as the saviour of an ailing or imbalanced property market, and this certainly worked in the wake of the great recession in 2008. Then, new build homes were sold as part of initiatives that helped stricken buyers and those with poor credit scores, helping those who had been decimated by the recession to regain their foothold on the property ladder. Times have changed, however, and there is evidence to suggest that new build housing may no longer hold the appeal or influence that it once had. The plethora of projects has created even more compact and uniform designs, however, while the sheer magnitude of work has heralded the dawn of simplistic structures. Such homes are increasingly impractical and unpopular, with a recent report by the Guardian suggesting that just one in four potential buyers would choose to purchase a home built in the last 10 years. Many would rather rent than buy a new build, while the issue of affordability is also relative in an economy where wages have stagnated while inflation soars. So while the theory of building new houses is a logical response to a shortfall in supply, it will mean little if the British public would rather hold on to their deposits and rent instead.